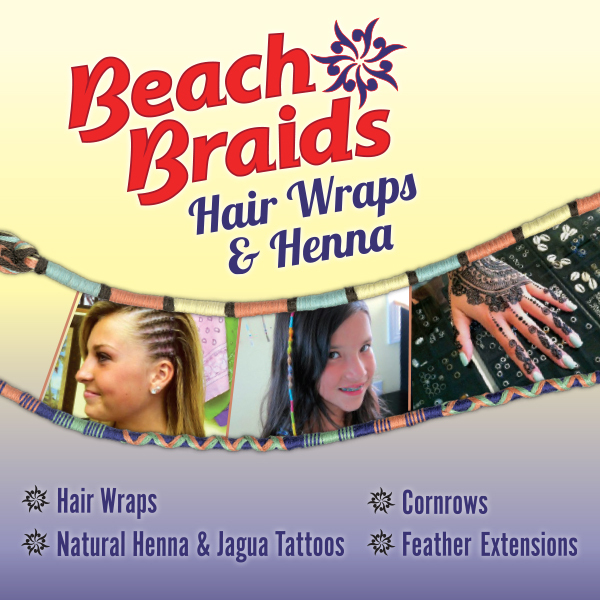 Beach Braids specializes in custom FREEHAND henna and jagua (temporary) tattoos. We mix all of our henna paste and jagua gel in house with only the freshest and finest ingredients imported from Rajasthan (henna) and Panama (jagua). Learn more about the henna tattoo process here.